For only $10, enter our raffle to win suite tickets for 20 people to watch the Chicago Cubs vs. the Chicago White Sox on July 27, 2017 at Guaranteed Rate Field. The winning ticket also includes food and beverage. The drawing will be held live on Facebook at noon on July 14, 2017. Visit https://www.facebook.com/IllinoisBeer/ to watch the drawing. The winner will be called the same day. The 2016 Primary Election took place on March 15, 2016. Thank you to each of you who have contributed to the ABDI-PAC. ABDI-PAC participated in the primary by contributing to the campaigns of candidates who support the traditions and values of the Three Tier Regulatory Distribution System. ABDI-PAC had a 97% success rate in the 2016 Primary Election. In the Illinois Senate, 100% of the contributions were given to successful candidates, and in the Illinois House, 96% of the candidates who ABDI-PAC contributed to were successful. Thank you to each of you who has contributed to ABDI-PAC. It is because of your contributions that ABDI-PAC was able to be successful and to support candidates who will to help defend and promote the jobs of our distributor employees. 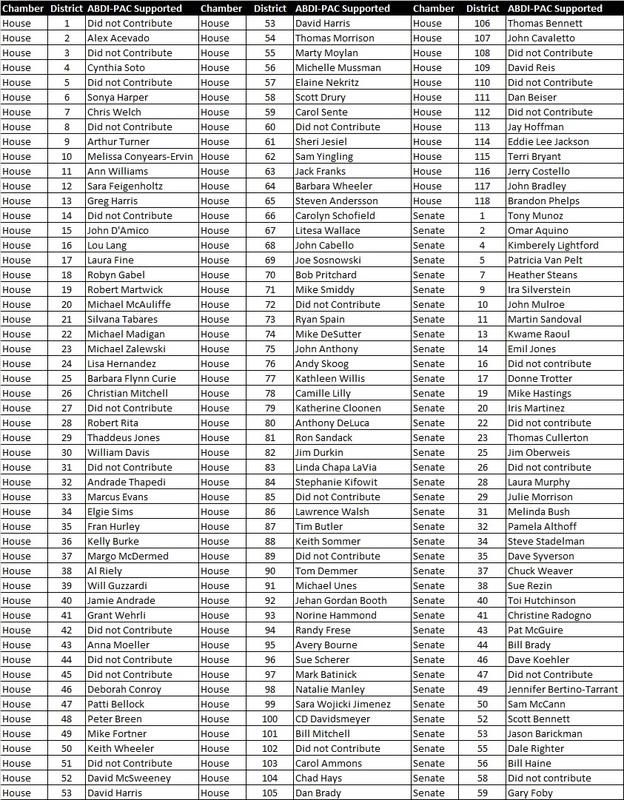 Below is a listing of every candidate ABDI-PAC has contributed to for the primary election. Mr. Kevin Werner has been an EPP participant for 28 years, as long as he has been with Hayes Beer Distributing. When asked why it is important for Members of ABDI to contribute to the ABDI-PAC, Mr. Werner stated that he has personally witnessed the relationship that ABDI has established with the Illinois legislature and how important ABDI's lobbying efforts are to protecting the best interests of beer distributors in Illinois. Additionally, ABDI helps to remind elected officials of the incredible value that beer distributors bring to the process of tax collection, liquor license, and liquor law compliance. Mr. Werner states that the benefits of participating in ABDI-PAC is job protection "plain and simple." 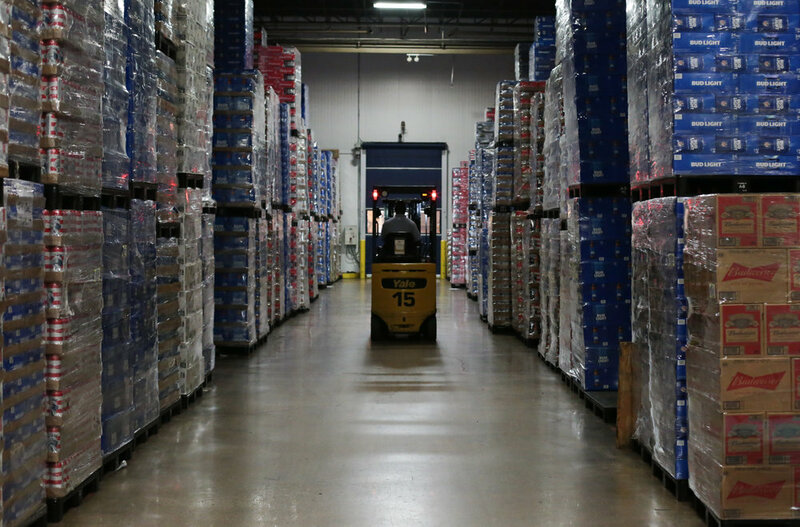 Every employee at Hayes Beer Distributing is given an opportunity to participate in EPP when their initial orientation paperwork is completed, and Hayes-Alsip currently has over 83% employee participation in EPP. Mr. Werner began his career with Hayes Beer Distributing Co. as a sales merchandiser and is currently an assistant sales manager and special events coordinator. He has been married to his wife Debra for 34 years and has two adult children, a son who is a US Army officer and a daughter who is a teacher.